COMMENT | The Malaysian Bar hails the landmark judgment by the Federal Court in Semenyih Jaya Sdn Bhd vs Pentadbir Tanah Daerah Hulu Langat & Another  1 LNS 496, dated April 20, 2017. The Federal Court unanimously held that Parliament does not have the power to amend the Federal Constitution to the effect of undermining the doctrine of separation of powers and the independence of the Judiciary, despite the amendment to Article 121(1) of the Federal Constitution (Article 121(1)) in 1988. Article 121(1) had been amended to remove the words “the judicial power of the Federation shall be vested in two High Courts”, thus deleting the provision that the judicial power of the Federation vested in the Judiciary. Instead, the amended Article 121(1) stipulates that “the High Courts and inferior courts shall have such jurisdiction and powers as may be conferred by or under federal law”. It has always been the position of the Malaysian Bar that the amended Article 121(1), in its current form, has the effect of impinging on the independence of the Judiciary. This encroachment has a severe and adverse effect on the operation of the doctrine of separation of powers. The amendment effectively curtails the powers of the court to play its role as a check and balance on the powers of the Executive and the Legislature, and does not allow the court to exercise its inherent jurisdiction when deciding on controversies or disputes. The judgment also affirms the “basic structure” doctrine first seen in Malaysia in the case of Sivarasa Rasiah vs Badan Peguam Malaysia & Anor  2 MLJ 333, namely that constitutional amendments that contravene the basic structure of the Federal Constitution are unconstitutional. The Semenyih Jaya decision has wide-ranging implications. Firstly, ouster clauses in any legislation - which remove the jurisdiction of the courts to review specific matters within the legislation - are now open to fresh challenge, as Parliament cannot completely remove such jurisdiction, if judicial power rests with the Judiciary. Secondly, provisions in the law that bind Judges to the decisions, rulings or directions of non-judicial bodies could also now be challenged. 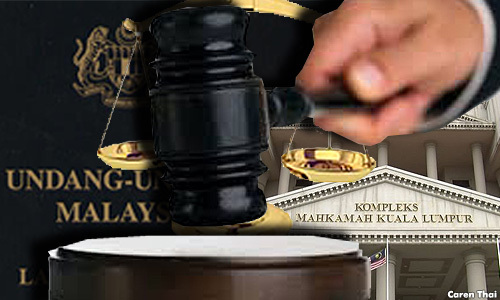 The Malaysian Bar has, time and again, voiced its concern that the amended Article 121(1) unacceptably confines the inherent powers of the courts to the laws passed by Parliament. The Semenyih Jaya decision vindicates the Malaysian Bar’s consistent stand. It effectively restores the independence of the Judiciary, and allows the Judiciary to play its role as the third organ of the State and keep in check any excesses of the Executive or Legislature. The Malaysian Bar reiterates our urging upon the government to restore Article 121(1) to its original form, in order to bring the Federal Constitution in line with the Semenyih Jaya decision.